Don't waste more time managing your categories! This module takes care of everything. With only 3 clics, duplicated your categories (and even sub-categories) in one or multiple other categories. This module makes use of AJAX technology to ensure a proper operation on a large number of categories, even on small server. 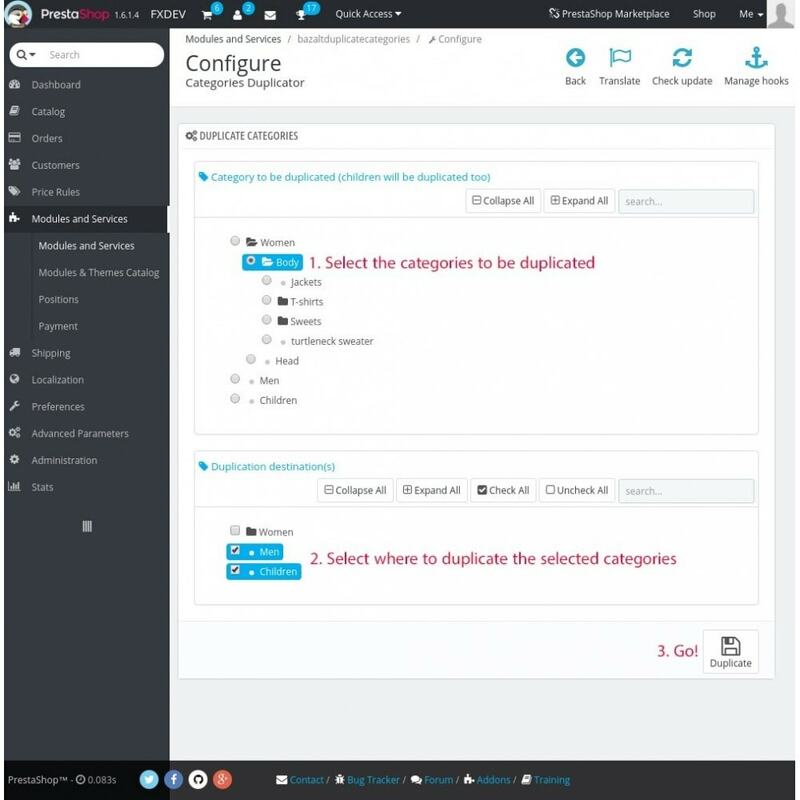 This module allows you to define virtual categories directly from backoffice.Create a category using some attributes from products. Combine them to define your category. 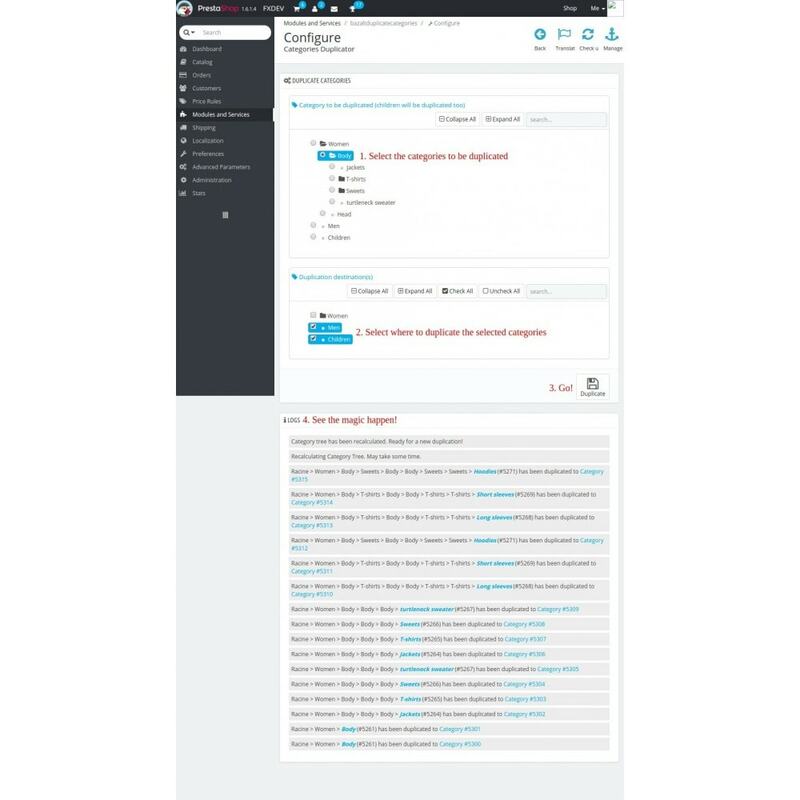 Upload the module into your Prestashop install. 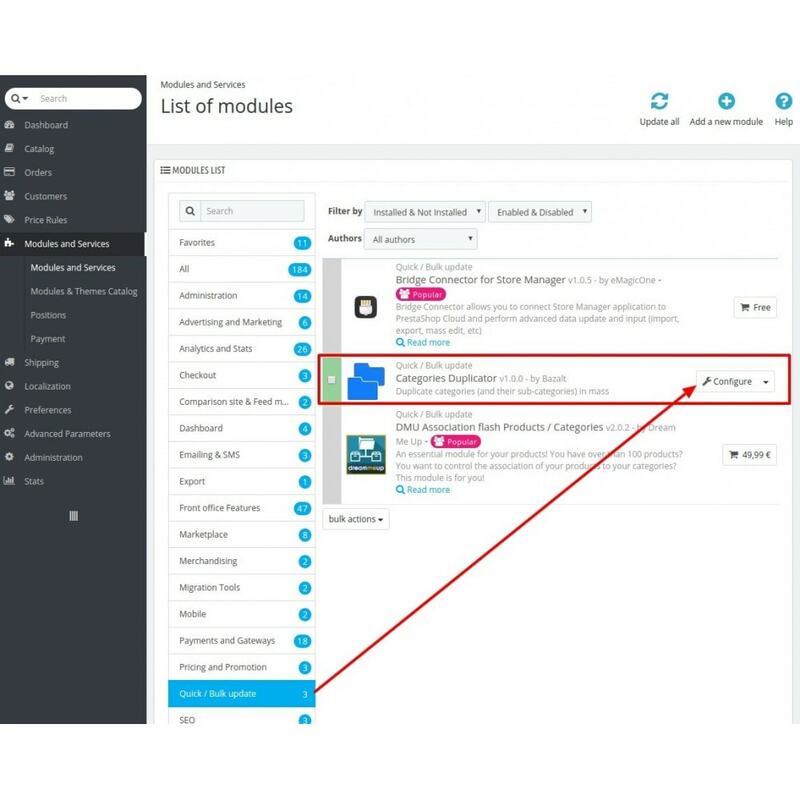 The module will be listed under "Quick / Bulk update" tab. Install the module, then click on "Configure".